The August release of the U.S. Department of Agriculture’s (USDA) World Supply and Demand (WASDE) report drove low crop prices lower on the news of higher than expected production after a particularly wet spring in parts of the Midwest. Sustained low prices are impacting the rural economy after over twelve months of price declines for soybean, wheat and corn. While high prices are not expected to return in the short-term, there are a number of new and previously utilized tools that will help producers endure these difficult economic conditions. The USDA WASDE report lowered US wheat supplies on a smaller crop and reduced imports, but still reduced farm prices due to offsets in other major wheat producing markets. Corn production is forecast at 13.7 billion bushels with yield forecast at 168.8 bushels per acre. Corn supplies for 2015/16 are projected at a record 15.5 billion bushels. Soybean production is projected at 3.916 billion bushels, up 31 million with higher yield offsets of 46.9 bushels per acre. A higher production forecast leaves ending stocks at 470 million bushels. Such output has lowered prices for each of these commodities. In addition to grains and oilseeds, dairy prices continue to fall. Larger domestic supplies and weaker exports are expected to pressure product prices downwards for the rest of 2015. The all-milk price is forecast at $16.75 to $16.95 per cwt for 2015, and only slightly higher for 2016, at $16.40 to $17.40 per cwt. While there is always anxiety and hardship that come with lower prices, there is an additional layer of anxiety resulting from new federal programs under the 2014 Farm Bill. The Dairy Margin Protection Program (MPP), Agricultural Risk Coverage program (ARC), the Price Loss Coverage program (PLC), and others are new to producers, and many in the countryside are nervous that these programs might not be sufficient for the hardships currently faced. According to USDA, 96 percent of soybean farms, 91 percent of corn farms, and 66 percent of wheat farms elected ARC-County. Seventy-six percent of all base acreage elected ARC-County. Over 90 percent of rice and peanut farms elected PLC. Base reallocation increased for corn and soybean the most, relative to 2013 enrolled base, by 12.8 million and 4.7 million acres, respectively. Wheat base declined. Over half of nation’s dairy farms enrolled in the MPP, with over 23,000 producers signing up for some level of coverage under the program. As these figures illustrate, program signup has generally been good, in some cases exceeding USDA expectations. The question remains for enacted programs, is their ability to buffer producers from lower prices. For MPP, 2015 margin payments have only been provided for those who selected the highest level of supplemental coverage at $8.00. The actual national average margin for January/February was $7.99554/cwt and $7.99534/cwt for May/June, providing little relief to a producer whose cost of production does not closely align with the national averages. Looking forward, USDA projects payments with increased probability as 2015 continues, with higher probabilities of payouts for 2016. Payments likely will only be provided to those electing supplemental coverage. For additional insight dairy producers should consult the Farm Service Agency’s MPP decision tool on FSA’s website. Marketing year prices for fall 2014 harvested crops are not final until August 31, and will not be reported until September 29, 2015, but well-known economists began forecasting possible payouts for ARC/PLC earlier this year. Gary Schnitkey, of the University of Illinois, estimated in February that within ARC corn could make payments over $40 per acre in many counties, soybeans could pay in some counties, and wheat could pay particularly in Kansas and Oklahoma. PLC may make modest per-acre payments for corn but should not make payments for soybeans and wheat. Art Barnaby, of Kansas State, arrived at a similar forecast in July, without estimating per acre ARC payments. In August, Schnitkey revised his estimates upwards for 2015/2016 payments, but county yields, which should be erratic resulting from excessive moisture for 2015, will be an important determiner. In addition to the Farm Bill programs listed above, there have been additional actions taken by USDA to aid operations more generally, but could benefit producers in a difficult economy. Crop insurance options have been expanded in recent months. The Risk Management Agency (RMA) has issued a margin protection program for certain crops in a select number of states and counties. It also expanded the Supplemental Coverage Option (SCO) and the Actual Production History (APH) Yield Exclusion to cover fresh fruit and nuts in select counties beginning with the 2016 crop year. This is in addition to existing eligible crops and counties. 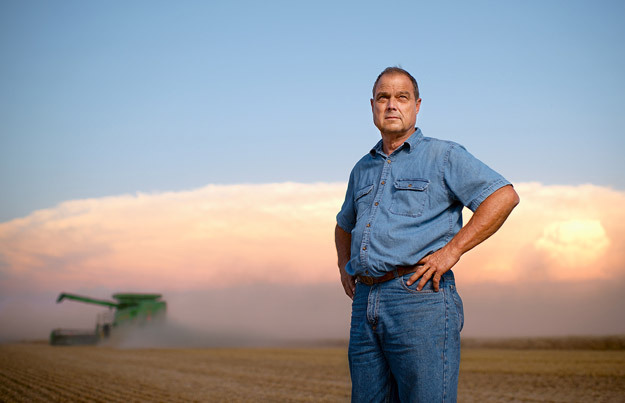 Crops not covered by insurance may be eligible for the Noninsured Crop Disaster Assistance Program which was reauthorized and expanded with the passage of the Farm Bill. NAP basic coverage is still available at 55 percent of the average market price for crop losses that exceed 50 percent of expected production. But, with the expansion producers can now pay for higher levels of coverage, up to 65 percent of their expected production at 100 percent of the average market price. The Farm Storage Facility Loan program, which provides low-interest financing to producers to build or upgrade storage facilities, has also been expanded recently. The program will now include storage loans for floriculture, hops, rye, milk, cheese, butter, yogurt, meat and poultry (unprocessed), eggs and aquaculture. This comes on top of a large range of commodities already eligible for the loans. We have all witnessed the sluggish global demand for agricultural commodities, slumping prices, rising production in developing markets, as well as a host of other economic challenges including the potential for the Federal Reserve to increase interest rates in the near future. The resiliency of producers and the effectiveness of the new farm bill programs will certainly be tested during the current downturn. Since farm programs cannot fully replace good crops and high prices, the unknown severity and length of the downturn will determine both.